Fly on your tiny ship and break pink sphere to release the prisoners. Get points and set the record. This adventure is both dangerous and important. You need to release the prisoners before they actually get transported to the other prison. You have a chance to cut them loose right now! 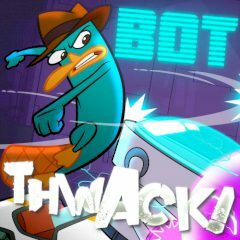 Games Similar Phineas and Ferb Bot Thwack!